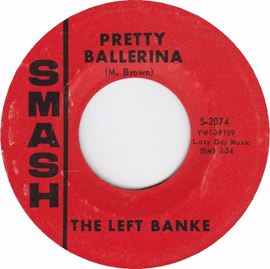 The song for this week’s Flip Side Friday is “Pretty Ballerina.” This song and “Walk Away Renée” are both about a ballerina named Renée Fladen. 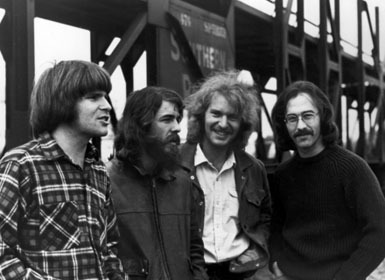 The group’s pianist Micahel Brown had a crush on her, but she was the girlfriend of their guitarist Tom Finn. (Another song about Renée was “She May Call You Up Tonight.”) In 1966, the song went to #15 on the U.S. 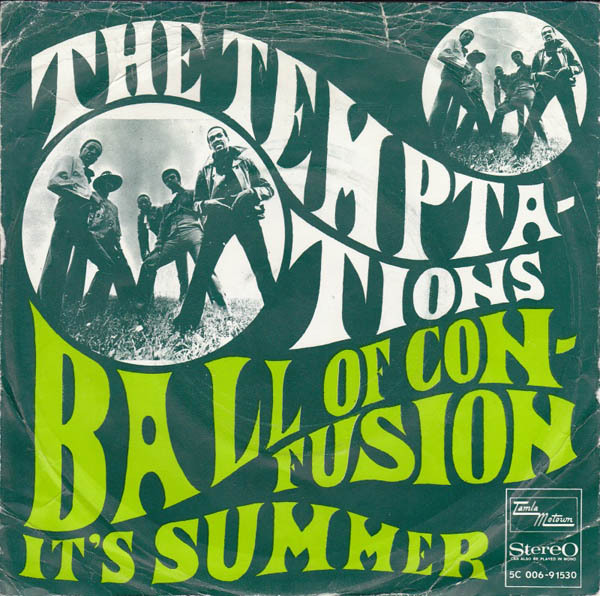 Billboard Hot 100, #12 on the Cash Box Top 100 as well as #4 in Canada and #13 in New Zealand. The song is known for its use of a string quartet and oboe. The song has had numerous covers, including versions by Alice Cooper (whose wife is a ballet dancer), John Mellencamp. Jason Falkner, Peter Kingsbery, Eels, Allen Merrill, and more. The Left Banke lineup was as follows: Al Rogers (drums), John Abbott (bass), George Hirsh (guitar), Mike Brown (keyboards), Stever Martin Caro (lead singer). And what became of the eponymous Renee? Renee Fladen-Kamm is currently a noted singer, vocal teacher and recording artist living in the San Francisco Bay area. She records medieval music as vocal director of the San Francisco based Sherwood Consort. Afraid it’s moving without me. Was I surprised, yeah, was I surprised, no not at all. The Pass the Paisley Groove Pad is a resting stop, a place to chill out and listen to the featured song on the stereo. If the mood strikes you, click on the juke box to access and listen to the 50+ free online songs there. The TV has several channels, with selections updated twice a week. Every now and then, Pass the Paisley hosts an all-request of 1960s and 1970s songs for a Be-In at the juke box in the Groove Pad. Keep on truckin’. 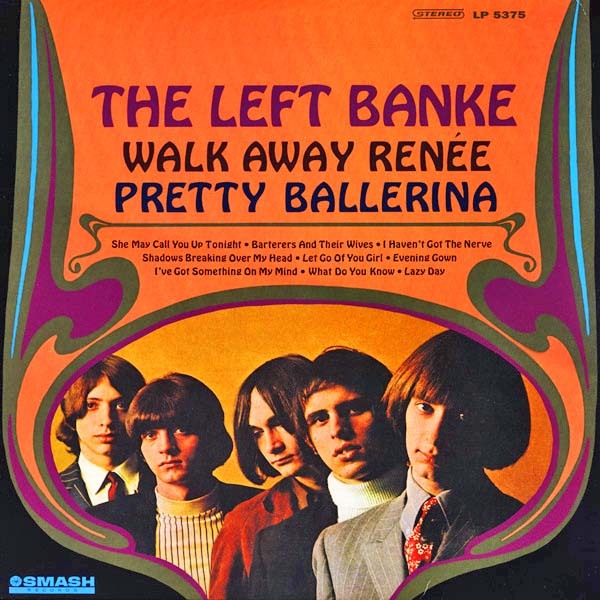 Hope you enjoyed “Pretty Ballerina” by The Left Banke.